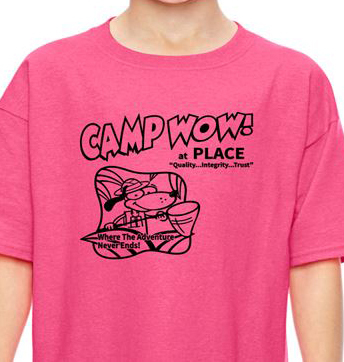 Camp WOW! Summer Registration is now open! Summer 2019 registration for incoming Kindergartner’s will begin May 20, 2019. In order to attend our program, the student must be fully registered in school. Any registrations submitted before May 20, 2019 will not be processed and will need to be resubmitted once registration opens. If your child is currently enrolled in a PLACE program, you will need to let the Site Manager/Assistant Site Manager know at your site that you are planning to attend Camp WOW!. If you have NEVER attend a program or used myProcare please click on the link below and then choose the school your child attends in order to be taken to that school’s myProcare registration page. You must use the registered email address listed in Procare to register and access your myProcare account. Registration requires completion of all registration forms by the client, proof of health/accident insurance and payment of an annual nonrefundable registration fee, plus the weekly tuition for the first week of services. (Tuition will not be prorated for entering the program mid-week or later.) ***A registration fee is charged each time a client terminates and re-enters any PLACE Program. Proof of accident insurance coverage for each student enrolled is mandatory and must be maintained while the student is enrolled in the program. School insurance may be purchased at a nominal fee if the student is not covered by private insurance. Transfer clients are required to complete registration forms for the new PLACE Program their children will be attending. A client or student may not have a balance due at any PLACE Program prior to enrolling. Clients who have children in attendance on alternating weeks will be expected to pay weekly tuition every week regardless of custody issues. Current full time employees of the District School Board of Pasco County receive 10% discount on their weekly tuition. The application for this discount must be submitted every time a student is registered or re-registered. The discount will take effect following district office approval. DSBPC employees who have registered for the Fall program and have not attended Summer program, will not be charged a Summer registration fee when DSBPC work calendars mandate returning to work prior to the new school year.